Barn Croft offers weekly bookings starting on Saturday and short breaks of 1 days starting on Monday. Two bedrooms and double bed settee in upper lounge. Fully fitted kitchen, WC/hand basin on both floors with bath and shower on ground floor in addition. Parking for 3 cars. Full central heating. unit 1 offers weekly bookings starting on Saturday and short breaks of 1 days starting on Monday. I didn't rate staff service because it was a self-catering cottage with no staff. The cottage was well-equipped and comfortable. It was very handy for Keswick and had superb views from the 2 lounges. 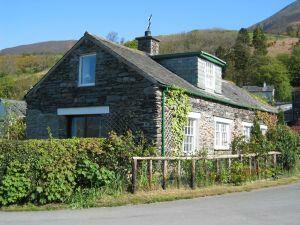 Rural location, small hamlet but only 1.5 miles from Keswick and Skiddaw and with outstanding views southwards. 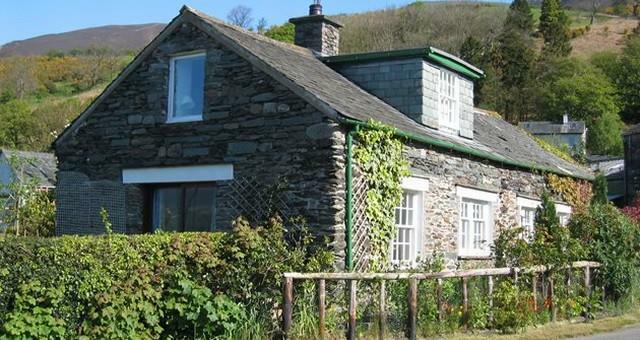 Ideal for fell walking, touring, water sports and ready access to north and central Lakes. A converted 18thC stone barn with original features. Enclosed garden suitable for pets. Arrival time 16.00, departure 10.00. From M6 jct 40 follow A66 to Keswick roundabout, take Bassenthwaite/Carlisle road A591 then right 500 yds along fairly narrow road signed Applethwaite. Barn Croft is the first cottage in the hamlet at the top of this lane.